Coutesy of Rihanna’s Instagram Rihanna dons all black on the official cover for her her fifth single, “What Now,” lifted from her latest album, Unapologetic. The singer gives an intense stare and rocks her new semi-fade mullet hairstyle as she stands in front of what appears to be chalkboard with her name scribbled all over it. 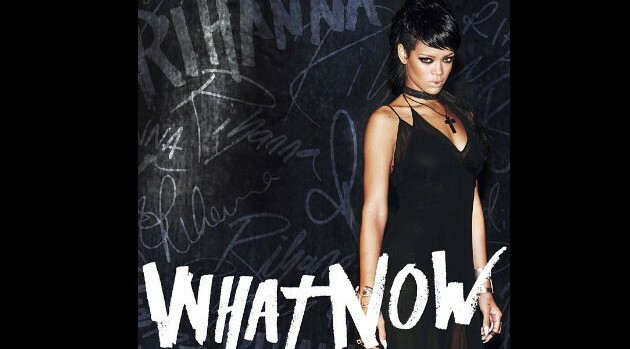 “#WHATNOW Brand new single cover!! #Unapologetic,” tweeted RiRi to her 32 million followers, who can expect the singer to release the accompanying visual, shot in Thailand, in the coming weeks. You can purchase Unapologetic on iTunes now.